Almost 400 pages about the changes made to Srila Prabhupada’s books. For those who saw the Hare Krishna movement spread from city to city and from country to country, it was clear that the original version of Srila Prabhupada’s books was full of spiritual potency and did not require to be changed in any way for his words to act upon the hearts of the conditioned souls. The question as to whether the writings of the Acharya may or may not be revised by his disciples after his disappearance is answered by the rule of arsha-prayoga. This principle states that one should not see mistakes in what the spiritual master has written or think that his writings may be changed to make them more effective or politically correct. To preserve his teachings in their originally published form is the way by which the Acharya is honored, and to do otherwise is to dishonor him. That is the rule of arsha-prayoga, a principle that devoted followers of a bona fide spiritual master must adhere to without deviation. The rationale for changing Srila Prabhupada’s books was based on a series of false arguments, many of which were defeated by Srila Prabhupada himself as this article will show. To justify their actions, the BBT editors created the illusion that Srila Prabhupada’s books were defective and in need of extensive editing even though they knew His Divine Grace had never authorized anyone to revise his books after his disappearance. Subsequent to his departure, they conveniently overlooked the principle of arsha-prayoga and proceeded to do exactly what Vaishnava tradition strictly prohibits. It was by the distribution of transcendental literature that Srila Prabhupada hoped to introduce Krishna consciousness to people everywhere. For those who saw the movement spread from city to city and from country to country, it was clear that the original version of Srila Prabhupada’s books was full of spiritual potency and did not require to be changed in any way for his words to act upon the hearts of the conditioned souls. Srila Prabhupada himself never doubted that his books would bring about a revolution in consciousness and induce people throughout the world to take shelter of the Supreme Personality of Godhead. His transcendental vision was revealed in the following letters, all of which refer to the original version of his books. Srila Prabhupada’s books, then, should be thought of as a permanent legacy to be embraced and shared by devotees everywhere. Their purpose is to establish religious principles and enlighten human society. They were Srila Prabhupada’s gift to the world and proof of his empowerment by Krishna. There was no reason, therefore, for His Divine Grace to recommend that his books be further revised. He was of the opinion that another round of editing would not be necessary for his literatures to deliver the world from the darkest regions of ignorance. Our guideline in Krishna consciousness is that the only duty of the disciple is to faithfully execute the order of the bona fide spiritual master. If a disagreement arises over how to best serve the guru, the issue can generally be resolved by following the course of action chalked out by the spiritual master himself through direct instructions to his followers. In a room conversation that took place in Paris in 1976, Srila Prabhupada elaborated on this point, and his explanation soundly defeats virtually all of the arguments presented in favor of changing his books. HARI-SAURI: Sometimes there’s some discrepancy, two parties, that may both want to serve but they have different ways, different ideas how to execute the same order, so there may be some disagreement. PRABHUPADA: Service means you must take order from the master. Otherwise, it is mental concoction. Actually the servant requests, “How can I serve you?” So when the master orders, “You serve me like this,” then you do that, that is service. And if you manufacture your service, that is not service. That is your sense gratification. Yasya prasadad bhagavat-prasadah. You have to see how he is pleased. Now if he wants a glass of water and if you bring a nice glass of milk, you can say, “Milk is better than water. You take it.” That is not service. He wants water, you give him water. Don’t manufacture better thing. After Srila Prabhupada’s disappearance, and without his consent, the BBT editors took it upon themselves to re-edit his books, making thousands of unnecessary changes in an attempt to improve their wording and style. But, as Srila Prabhupada stated above, without his order, their service was a concoction. They were offering him milk when he had asked for water. He wanted them to follow the rule of arsha-prayoga, but they decided to manufacture a better thing. So, according to the spiritual master, their editing was not service at all, but sense gratification. Unless the BBT trustees felt that Srila Prabhupada’s books had been shabbily presented, they had no right to tamper with them. Of course, it is not our philosophy to print errors, but spiritual subject matter is transcendental to all mundane considerations and remains potent despite mistakes in grammar, spelling, etc. Once the presentation of his books had met Srila Prabhupada’s standard of approval, he adamantly warned the BBT staff that further changes could not be made. He said they should not even think there were mistakes in his published works. When it was brought to Srila Prabhupada’s attention in 1977 that significant changes had been made in his books without his approval, he instructed the directors of the BBT that the next printing of his books should be again to the original way. The BBT editors knew how averse Srila Prabhupada was to making revisions in his books, especially once they had been published. How, then, despite his specific instructions, could they justify acting against his wishes and dare to change everything shortly after his physical departure? If Srila Prabhupada ever spoke of making improvements, he was referring to the quality of the printing only and was not suggesting that changes be made in the text of his books. When Srila Prabhupada first examined the 1972 MacMillan Gita, for example, he said it did not meet our Vaishnava standard. He was disappointed with the quality of the paper, the binding, the color work and so on. These are the things he wanted improved. As far as the text was concerned, he said that nothing should be added or subtracted. Srila Prabhupada’s desire was to see his books translated into all of the major languages of the world. By 1970, numerous centers had opened in countries outside of the United States and translation work had begun in Germany, France, Canada, South America and Japan. When the German devotees undertook the translation of the Srimad Bhagavatam, they discovered what they thought were grammatical discrepancies in the original English. The translators reasoned that if their spiritual master could publish his books with flaws included, then their own translation work could also contain mistakes and no harm would be done. 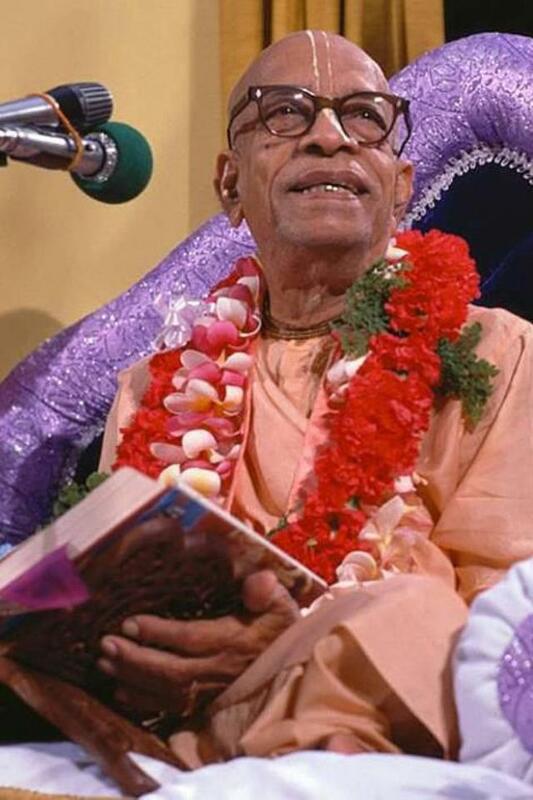 In a very strongly-worded letter, Srila Prabhupada chastised his disciples for thinking they could imitate their spiritual master and explained that to avoid this offense, they must follow the principle of arsha prayoga. One should not see mistakes in the books written by his spiritual master, nor should one think he is able take the same liberties taken by him. His Divine Grace warned his disciples that only if they were able to spread Krishna consciousness all over the world as he had done could discrepancies in their translation work be overlooked, otherwise not. 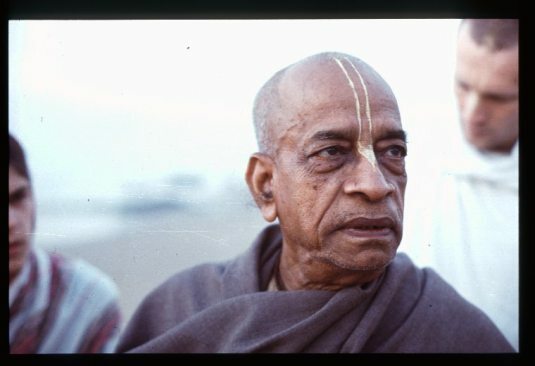 Srila Prabhupada wrote, “If one is too big, there is no mistake,” so when the BBT [Bhaktivedanta Book Trust International, Inc.—not the authentic Bhaktivedanta Book Trust established by Srila Prabhupada] decided that his books were full of mistakes and had to be re-edited, they made Srila Prabhupada look very small, and that is their great offense. “To teach this science of God to people everywhere and to aid them in their progress and development towards the real goal of life, Srimad Bhagavatam is most eminently fitted. In fact, this great ancient work of Vyasa will fill this need of the modern times, for it is a cultural presentation for the re-spiritualization of the entire human society. His Divine Grace, Srila A.C. Bhaktivedanta Swami Prabhupada, the founder-acarya of the ISKCON movement, has taken upon himself, in addition to his ceaseless travels and other multifarious activities in the service of the Lord, the stupendous task of translating this Sanskrit work into English in about sixty volumes for the welfare and happiness of mankind. It is evident from his letter that Srila Prabhupada considered his early editors to be fully competent because they were depending upon Krishna and the spiritual master to give them the ability to perform their service. His Divine Grace was very satisfied with the quality of their work and, to show his appreciation, he later wrote to Hayagriva, “I want your company always for editing my writings very nicely.” As far as we have been able to ascertain, he never contemplated having anyone redo the work of his editors. It is also a fact that Srila Prabhupada’s involvement in the preparation of his books went far beyond his original dictation, although the BBT’s propaganda would lead one to believe that his participation ended there. The truth is that in order to guarantee a very high standard of presentation, Srila Prabhupada personally supervised all proofreading and editorial work and did not allow any significant changes to be made in the text of his books without his approval. It is customary that once a writer accepts an edited draft of his book, it immediately supersedes an unedited draft. When the BBT editors decided to work again from Srila Prabhupada’s original manuscripts, they were, in effect, rejecting the proofreading and editorial work that Srila Prabhupada himself had overseen. This is not how one shows appreciation for the spiritual master’s endeavor to publish his books, or for the service offered to him by others. The question as to whether the writings of the acarya may or may not be revised by his disciples after his disappearance is answered by the rule of “arsa prayoga”. This principle states that one should not see mistakes in what the spiritual master has written or think that his writings may be changed to make them more effective or politically correct. To preserve his teachings in their originally published form is the way by which the acarya is honored, and to do otherwise is to dishonor him. That is the rule of “arsa prayoga”, a principle that devoted followers of a bona fide spiritual master must adhere to without deviation. The rationale for changing Srila Prabhupada’s books was based on a series of false arguments, many of which were defeated by Srila Prabhupada himself, as this article will show. To justify their actions, the BBT editors created the illusion that Srila Prabhupada’s books were defective and in need of extensive editing even though they knew His Divine Grace had never authorized anyone to revise his books after his disappearance. Subsequent to his departure, they conveniently overlooked the principle of “arsa prayoga” and proceeded to do exactly what vaisnava tradition strictly prohibits. Srila Prabhupada’s books, then, should be thought of as a permanent legacy meant to be shared and enjoyed by generations of devotees everywhere. His purpose in writing was to reestablish religious principles and, ultimately, to revive every conditioned soul’s dormant love of God. These transcendental literatures were Srila Prabhupada’s gift to the world and proof of his empowerment by Krishna. Judging from the statements made above, His Divine Grace seemed totally convinced that the books he had published, if distributed widely enough, would deliver the entire world from the darkness of ignorance. Therefore, there was no reason to believe that, to fulfill his mission, his books would have to undergo another round of editing, what to speak of the complete overhaul concocted by the BBT editors. Our guideline in Krishna consciousness is that the only duty of the disciple is to faithfully execute the order of the bona fide spiritual master. If a disagreement arises over how to best serve the guru, the issue can generally be resolved by following whatever course of action the spiritual master had specifically recommended in his direct instructions to his disciples. In a room conversation that took place in Paris in 1976, Srila Prabhupada elaborated on this point, and his explanation soundly defeats virtually all of the arguments presented in favor of changing his books. Srila Prabhupada: Service means you must take order from the master. Otherwise, it is mental concoction. Actually the servant requests, “How can I serve you?” So when the master orders, “You serve me like this,” then you do that, that is service. And if you manufacture your service, that is not service. That is your sense gratification. Yasya prasadad bhagavat-prasadah. You have to see how he is pleased. Now if he wants a glass of water and if you bring a nice glass of milk, you can say, “Milk is better than water. You take it.” That is not service. He wants water, you give him water. Don’t manufacture better thing. After Srila Prabhupada’s disappearance, and without his consent, the BBT editors took it upon themselves to re-edit his books, making thousands of unnecessary changes in an attempt to improve their wording and style. But, as Srila Prabhupada stated above, without his order, their service was a concoction. They were offering him milk when he had asked for water. He wanted them to follow the rule of “arsa prayoga”, but they decided to manufacture a better thing. So, according to the spiritual master, their editing was not service at all, but sense gratification. Unless the BBT trustees felt that Srila Prabhupada’s books had been shabbily presented in the past, they had no right to tamper with them. While it is not our philosophy to print errors, it should be remembered that spiritual subject matter is transcendental to all mundane considerations and remains potent despite mistakes in grammar, spelling, etc. 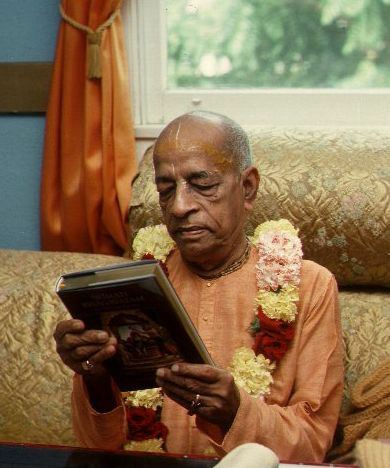 As soon as Srila Prabhupada was satisfied with the standard of presentation of his books, he adamantly warned the BBT staff that further changes should not be made. He said it would be considered an offense for them to even think there were mistakes in his books. When it was brought to Srila Prabhupada’s attention in 1977 that significant changes had been made to his books without his approval, he instructed the directors of the BBT that their next printing should be again to the original way. The editors were well aware how averse Srila Prabhupada was to making changes, especially once a book had been published. How, then, could they act so boldly against his wishes, daring to change everything, and so soon after his physical departure? If Srila Prabhupada ever spoke of making improvements, he was referring to the quality of the printing only and was not suggesting that changes be made in the text of his books. When Srila Prabhupada first examined the 1972 MacMillan Gita, for example, he said it did not meet our vaisnava standard. He was disappointed with the quality of the paper, the binding, the color work and so on. These are the things he wanted improved. As far as the text was concerned, he said that nothing should be added or subtracted. Let me first offer my prostrated obeisances unto the lotus feet of that supreme swan-like devotee of the Lord, our spiritual master, His Divine Grace A.C. Bhaktivedanta Swami Prabhupada, by whose mercy the fallen souls of Kali Yuga may taste the sweetness of the narrations of the pastimes of the Lord and His pure devotees. As the bonafide representative of Sri Vyasadeva, he composed a mountain of transcendental literature to enlighten the entire human society, explaining even the most confidential truths regarding vaisnava philosophy. His Divine Grace Srila Prabhupada displayed all of the symptoms of an empowered jiva soul, working tirelessly to distribute the transcendental message of love of Godhead throughout the world. It is therefore the duty of his followers to preserve the legacy and protect the honor of such a great spiritual personality whose every moment was dedicated to the spreading of Krishna consciousness. To guarantee that his teachings would not be forgotten in the oblivion of time, Srila Prabhupada created the Bhaktivedanta Book Trust and, assisted by his disciples, he astounded the academic community with his literary output. What follows is a brief account of Srila Prabhupada’s struggle with the BBT staff to keep the final version of his books intact by resisting what he called the “American disease” of always wanting to change things. As will be seen from the letters and conversations cited in this article, Srila Prabhupada would finally insist on an “absolutely no change” policy based on the principle of “arsa prayoga”. That unwanted changes were being made to his books came to his attention as early as 1975, and it quickly became a pressing matter. In a letter to the production manager of the Bhaktivedanta Book Trust, Srila Prabhupada expressed his alarm that changes he had not approved were appearing in print. Srila Prabhupada never gave anyone carte blanche to make revisions in his books. This letter confirms that any changes to his books would require his personal approval before being printed. Srila Prabhupada consistently stated that he did not want anything to be changed unnecessarily. Any changes they thought would be an improvement in the text would require his written authorization. The most serious violation of this instruction actually came years later, after Srila Prabhupada’s disappearance, when BBT personnel decided to print a new version of the Bhagavad-gita. It is a well known fact that His Divine Grace never authorized anyone to re-edit the Bhagavad-gita As It Is. If Srila Prabhupada ever intended to make changes in the Gita, the ideal opportunity for him to say so came in a room conversation that took place on February 24, 1977 in Mayapur. On that occasion, Radha-vallabha dasa was describing how the upcoming printing of the Bhagavad-gita was going to require so much paper that it would take seventy-six train cars to transport it (1.5 million copies). Srila Prabhupada absolutely did not suggest making any corrections before this largest printing ever of the Bhagavad-gita As It Is. In fact, and to the contrary, in a discussion that took place three days later, he established a definitive “no change” policy that he wanted applied henceforward to all of his books. The tendency to want to make corrections was now a very serious problem, and Srila Prabhupada dealt with it. The transcribed conversation of February 27, 1977 presented below clearly indicates that Srila Prabhupada would never have approved of anyone changing the final edited version of his writings, even after his disappearance. In this exchange, His Divine Grace states that for a disciple to see mistakes in his production-ready finished manuscripts was a bad habit that had to be given up. Even though the one correction his disciple Jagannatha dasa wanted to propose would not have changed the wording of the verse, Srila Prabhupada warned that to make any change whatsoever was “strictly forbidden”. As a servant of his spiritual master, Radha-vallabha dasa was obliged to accept Srila Prabhupada’s instruction that the text should be left exactly as is and that making corrections should never be contemplated. To further enlighten his disciple, Srila Prabhupada explained the rule of “arsa prayoga”, that whatever the acharya has given, it should be accepted. The tendency to think oneself sufficiently qualified to correct one’s authority is not only a breach of vaisnava etiquette, but is an offense in the service of the spiritual master. 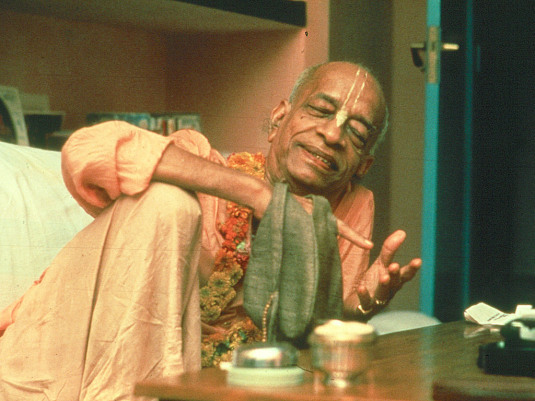 If one continues to see mistakes that he thinks need to be corrected, Srila Prabhupada says, “He is the mistake.” Due to his incomplete understanding, Radha-vallabha dasa reasoned, “So if we think there is some mistake, we should just forget about it.” Srila Prabhupada corrects him again, saying that one should not even think his authority has made a mistake. His opinion was that since Jagannatha dasa tended to see mistakes in the writings of the acharya, he was an irresponsible man who could not be relied upon. Srila Prabhupada then made his final point, that our true purpose is not served by becoming so-called scholars able to find errors in the books of the spiritual master, but by becoming advanced in devotion to Krishna. Radha-vallabha dasa finally got the point, that Srila Prabhupada was establishing the rule of “no corrections anywhere” once a book was submitted to his department for publication. Srila Prabhupada was assigning to the BBT trustees the duty of safeguarding his books from being changed in the slightest by anyone who had not been specifically ordered to do so. The principle of “arsa prayoga” was again referred to on June 22, 1977 when Srila Prabhupada was in Vrndavana, India. In the middle of a reading of the Srimad Bhagavatam, Srila Prabhupada objected when he heard the synonym that was given for the word “sadhu”. The word-for-word translation said, “it is relevant,” but Srila Prabhupada said, “No. ‘Sadhu’ means ‘devotee’.” The editors had changed his translation, and he found this unacceptable. He spoke as though he had been betrayed by a dangerous element within his movement. His authority was being minimized by his own disciples to whom he had entrusted his most lasting contribution: his books. A number of devotees present voiced their objection to the production staff’s practice of deleting entire sections from certain books, and they mentioned discrepancies they had found in the Sanskrit to English translations. Literally hundreds of changes had already been made in the text of Srila Prabhupada’s books from one printing to the next and the devotees testified that the potency was not the same. Drawing from these letters and conversations, we can gain some insight into Srila Prabhupada’s struggle to keep his books as they were. One should rightly conclude that he would never have approved of the wholesale changes that were made by the BBT editors after his disappearance. He would have expected the BBT trustees to resist on his behalf. The unnecessary and unauthorized changes in the Bhagavad-gita alone number more than seven hundred, so where is Srila Prabhupada’s signed approval for such changes to be made? And where are the rave reviews of the revised edition from scholars and professors praising the editors for having improved the original version of the Gita published by their spiritual master? We do not expect to see any testimonials from these mundane personalities glorifying the “revised and enlarged” edition of the Gita. After all, which scholar would approve of having his own writings altered after his physical demise?